Henderson Warnock have won several awards over the years these include finalists for Building Services Consultancy of the Year 2007, Commitment to Partnership Working Award 2008 as part of the Orkney Street Design Team through to a commendation from the Civic Trust. 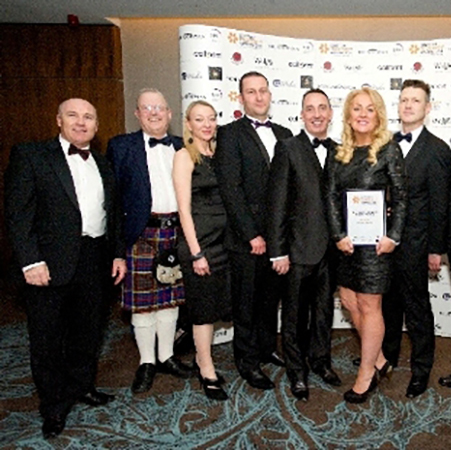 In 2014 the KLIN Partnership were winners at the Scottish Property Awards 2014 for Town Regeneration Project of the Year for the restoration and transformation of Kilmarnock’s Opera House. Henderson Warnock were part of the design team and helped deliver the project on time and within budget. Henderson Warnock have been continuously recognised as an Investors in People organisation for more than 10 years and are also registered with Constructionline, one of the UK’s largest register for pre-qualified contractors and consultants.